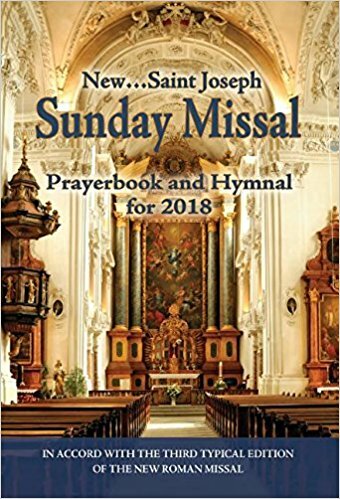 If you are not familiar with how the Catholic Mass flows or you just want to have easy access to Sunday scripture readings, you'll enjoy the "St. Joseph Sunday Missal and Hymnal for 2018" - Click the image below purchase on Amazon. 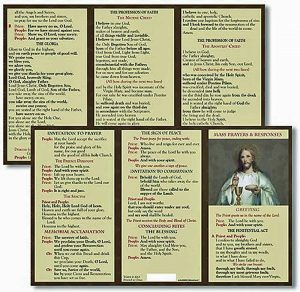 If you haven't memorized the creed or you are still a little confused about responses as Mass, you should like the "Mass Prayer and Responses Pocket" (It doesn't cover every option in a pocket card. ) - Click the image below purchase on Amazon.